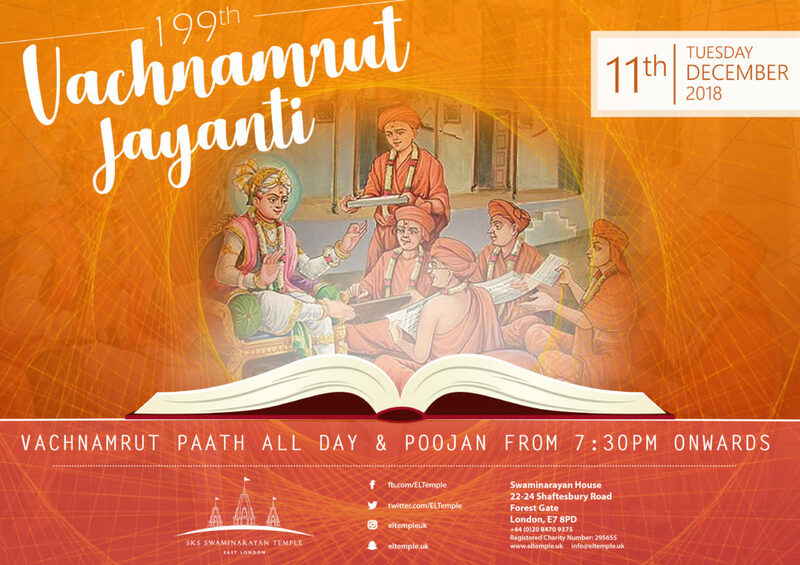 Tuesday 11th December will mark the 199th Vachanamrut Jayanti. There will be a recital happening all day at Mandir. If you would like to participate in the recital of the Vachnamrut, please add your name to the list of chapters to read located at the information desk. In the evening from 7:30pm onwards, there will be a short pujan followed by a silent recital. The Vachnamrut is the essence of all spiritual & philosophical knowledge. It is a compilation of sabhas that took place where questions and answers were discussed between santo, bhaktos and Bhagwan Himself. By understanding this great scripture, we will understand the deeper purposes of life and find our road to eternal happiness.